Choose some fertile canna seed for the best propagation rate to increasing your canna levels, learn what to look for when selecting seeds and how to quickly tell whether the seed is viable or fertile to grow. The reason most canna flower seeds fail to grow is because they haven’t got a developed embryo, they are blank and infertile, but the question is how do you tell the embryo is missing? The answer is by quickly looking at the seed on its ends for any sign of an indentation, some seeds only show a very shallow small indentation while others can have deep a indentation or a hole on one end. The holes pictured here are deep and easily seen, the holes can look so big and deep that you would think you could fit the back of a pinhead into it the seeds in this photo are all infertile with no hope of ever growing. 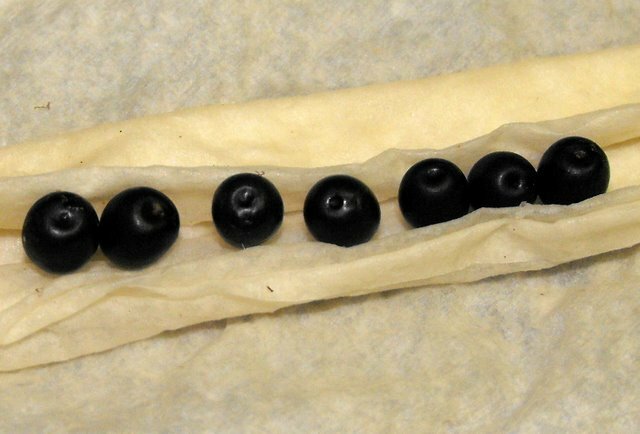 Here is a fertile seed I cut open with scissors to reveal the embryo, seeds with embryo's will have no indentations on the end and often they have a slight protrusion where the embryo is. 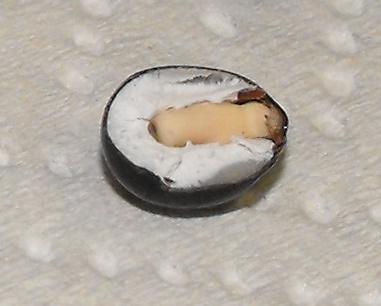 The white area inside the seed that encases the embryo is called the endosperm, its job is to provide the embryo with nutrients as it grows it is essential for seed germination. 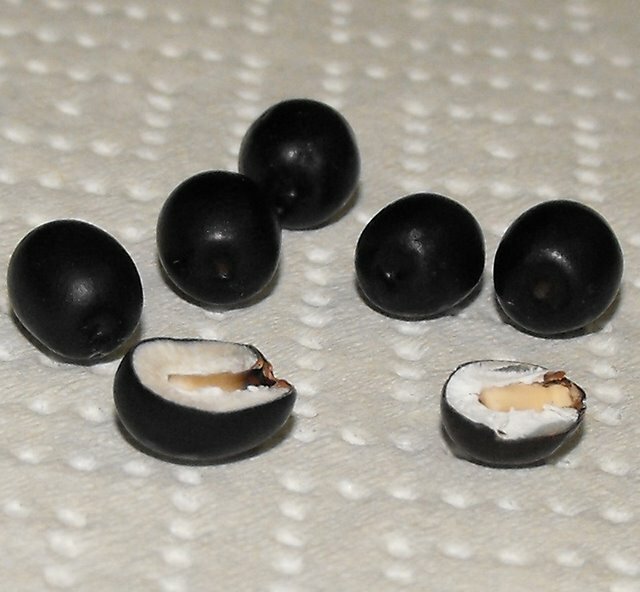 Here is a seeds that had a slight indentation and upon cutting it in half reveals the missing embryo.